My thanks to Wednesday Books for sending me an ARC of this book through a Goodreads giveaway. All opinions are my own and are not influenced by the publisher. The Gilded Wolves is a richly atmospheric, dark, and magical adventure in Paris. The setting will appeal to fans of both fantasy and historical fiction, and the cast of characters will absolutely steal your heart. Let’s start with the cast: each character feels well developed and real, and Chokshi pays real attention to diversity in a substantial way. By that I mean that the story doesn’t simply have, for example, an Indian character purely for the sake of diversifying the cast. Laila is Indian and it matters that she is Indian. Her heritage impacts the ways he views the world around her and her feelings about those who want the pretty, shiny bits of Indian culture with no real appreciation for Indian people. I truly love stories that can weave social issues into the narrative without it feeling shoe-horned in or overly preachy, and Chokshi accomplishes this beautifully. I am using Laila as a specific example here, but I really feel that all of the major characters have something analogous to this with respect to their specific backgrounds and identities. Also, bonus points go to Chokshi for writing a young adult romance subplot that didn’t constantly make me cringe, because that’s a rarity. I was also a big fan of Chokshi’s world building within this novel. It is set in an alternate version of Paris in 1889 filled with magic and secret societies. The world gives off a kind of steampunk vibe, and the line between magic and technology feels a little blurry at times. The magic system, referred to as Forging, often involves enhancing ordinary objects using one’s magical abilities, although the nature of one’s magical abilities varies from person to person. The plot itself is probably the one thing keeping me from rating this a full five stars. While the central story, Séverin and his friends’ hunt for a magical artifact and quest to reclaim his rightful inheritance, is fun in concept, it sometimes felt like the plot was secondary to everything else Chokshi was trying to do within the novel. I found myself more invested in the character development and understanding the magic system than I was in the heist at the center of it all. 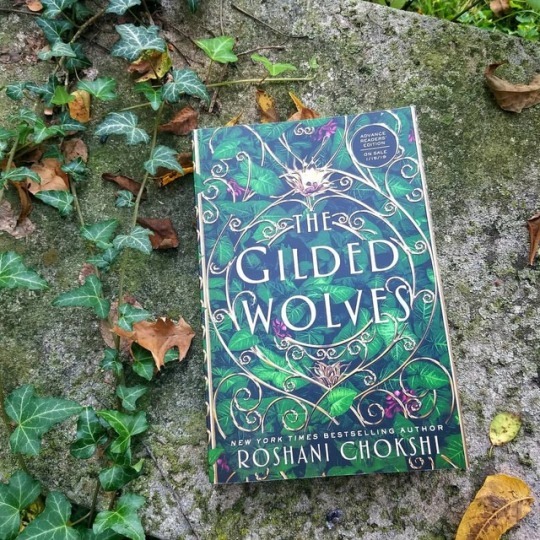 All in all, The Gilded Wolves is definitely a fun read and a solid four stars! Thank you for reading! Have you read any of Roshani Chokshi’s work? Please share your thoughts in the comments! What’s the best YA fantasy novel you’ve read this year? Let’s discuss! Same! Like, I’m not saying you can’t have a black character without the story being ABOUT them being black, or a gay character unless it’s ABOUT being gay, but everyone’s identity impacts the way they view the world, and if that’s not reflected in your story, what’s the point?